The Indian Auto Expo 2018 came with a lot of surprise showcases and launches. Especially, the breathtaking bikes that were unwrapped at the motor show caught attention of the media and the auto enthusiasts alike. So, we thought why not share with you the list of top 10 bikes that were unveiled or launched at the 2018 Auto Expo. Check it out! 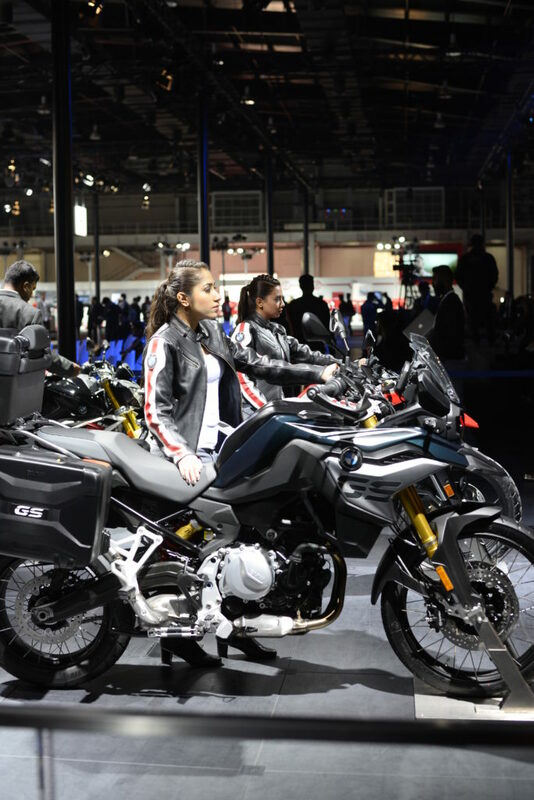 A smaller touring model of BMW’s GS motorcycle, the BMW G310 GS has been showcased at the ongoing Indian Auto Expo. The motorcycle also features the same 310cc motor found in Apache RR 310. However, the suspension setup is designed to take on any off-roading duties that may come its way while touring. BMW G 310 is manufactured in India, as a courtesy of the BMW TVS partnership. This is the upcoming sibling of the Apache RR 310 and we expect it to feature similar performance figures. The 313cc unit will produce 33 bhp of power and 28 Nm of peak torque. The bike will be priced around Rs. 2.5 Lakh. Next up are two offerings from the German automaker, which will come to India as completely built units. These are middleweight motorcycles which feature the same 853cc unit which has been retuned to deliver two different level of power outputs. The F 750 GS is offered with 77bhp of power and the 850 GS gets 85 bhp. Emflux Motors have introduced India’s first indigenously manufactured electric motorcycle at the 2018 Indian Auto Expo. The motorcycle can accelerate from 0-100 kmph in under 3 seconds and the top speed caps out at 200 kmph. The bike will be priced between Rs. 5-6 lakh. The replacement for the discontinued Impulse has been showcased at the expo. The motorcycle features a 200cc engine and is larger in dimension as compared to its predecessor. The motor produces 20 bhp of power and is likely to be priced around 1.2 lakh. Another entry into the 300cc segment is the Honda CBR 300R. This bike will replace the CBR 250R and the 286cc motor will deliver a power output of 30 bhp. The single cylinder unit is liquid cooled and we believe the bike will be priced around Rs. 3 lakh. A new entry into the 650 cc, middleweight segment comes from Suzuki as the V-Strom 650. This motorcycle will compete against Kawasaki’s Versys 650. Prices are likely to fall in the range of Rs. 5- 6 Lakh. The 650cc engine produces 71 bhp of peak power output. Kawasaki has unveiled its retro style roadster at the 2018 Auto Expo. The motorcycle has retro design accents but incorporates a retuned 748cc motor which can produce 110 bhp of power and 97.9 Nm of torque. We expect the prices to start at around Rs. 10 Lakh. A touring model of Ninja H2 has been showcased at the 2018 Indian Auto Expo. The motorcycle is offered in two variants, which are the standard Ninja H2 SX and a top-end Ninja H2 SX SE model. The engine offered on this bike is a 998 cc in-line four which produces 199bhp of power.